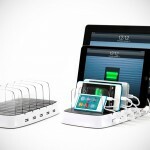 just few years ago, to peddle a multidock or charging station would be like trying to sell sea water to everyone, but these days with gadget ownership on the rise per consumer, it does sound as crazy to own a multidock charging station such as the All-Dock. granted that the concept of multidock isn’t new, but the All-Dock here is still worthy a mention because it is affordable and is no slouch in the look department (especially the walnut edition). 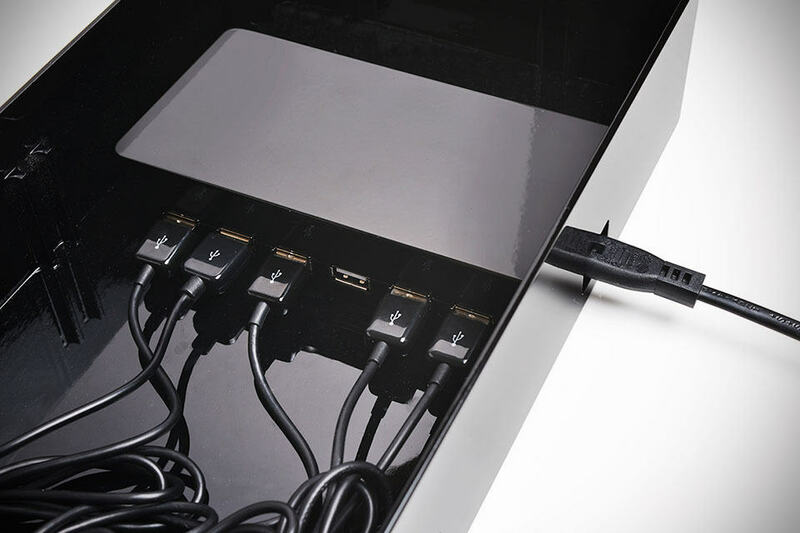 what makes the All-Dock ticks is a specially crafted USB hub hidden beneath its minimalistic multidock. 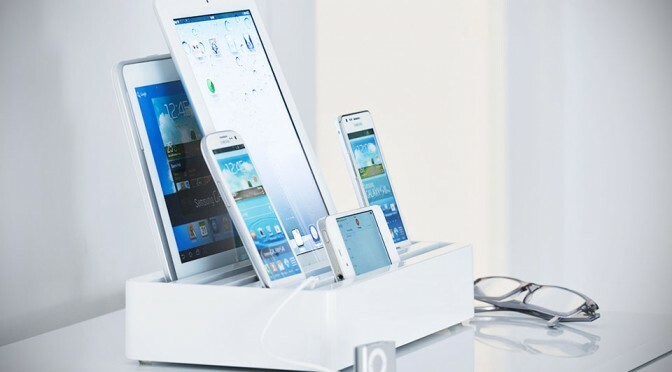 this USB hub is like no other you have seen; it is specially engineered in Germany and is capable of outputting 2,400 mAh per port, which can fully recharge a regular smartphone up to 80% in under an hour. however, there is a couple of catches here: not all All-Docks offered come standard with a USB hub and those slots that hold up your devices of varied sizes doesn’t come with connectors; you will have to provide your own by hooking up your cables to the USB hub and through the opening within the ‘channels’. so, as you would have imagined, docking and undocking will not be an one-handed process. in any case, the dock also makes a nice stand, where you can have the device you want to use up at the first slot, while the rest of the devices continues to charge in the ‘background’. 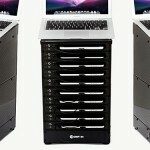 the German folks behind this creation has taken the All-Dock to Kickstarter, seeking financial backing to take this to the production line and this is the part where it can be quite confusing. the All-Dock is available in a myriad of guises which can’t even begin to decipher, but all you have to know that you won’t cost you an arm or a leg. 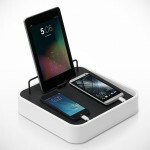 the basic starts at $39 (early bird price, limited to 2,500 units) for the All-Dock Small without the four-port USB hub and goes all the way up to $149 for the walnut edition (handcrafted, no less) with 6-port USB hub. on that note, we shall leave it to you to decode the different reward levels and determine for yourself which is the one All-Dock for you. but before you go, you might want to check out a product promo video in the embedded clip below.